Three years ago, we spoke about achieving 2.5 M transactions per second (TPS) on the Intel® Xeon® processor E5-2600 v3 product family. Considered “stratospheric” at the time, this performance opened the door for applications as diverse as fraud detection, real-time ad bidding, and digital payment processing. Nowadays, in the age of digital transformation, that benchmark result has become table stakes as databases of 20-100 TB and sub-millisecond response times are the norm. 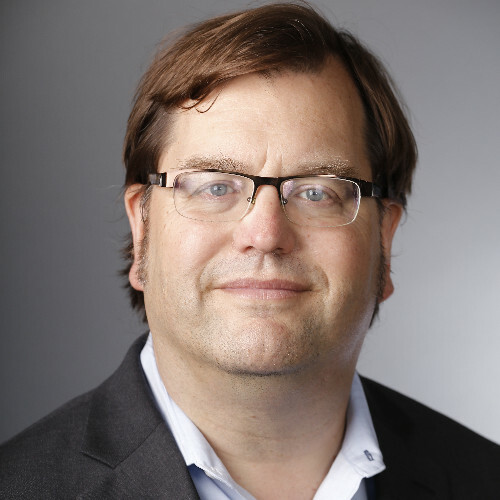 Aerospike has a long history of working closely with Intel on data center solutions, and this continues, as shown by our Intel® Optane™ SSD announcement back in March. Today, we’re pleased to bring you even greater stratospheric performance with the announcement of the new Intel® Xeon® Scalable Platform. It is now possible to achieve a throughput of 8.8 M TPS, simply by refreshing systems that are just a few years old! Yes, you read that right—nearly NINE MILLION transactions per second. The workload-optimized performance gains go beyond simply running software on newer processors. For instance, the auto-pin configuration we introduced with Aerospike Server version 3.12 in April 2017 saw performance increases of 10%-45% across the board. We also recently enhanced Aerospike with new capabilities such as auto-tuning to take advantage of Intel’s architecture. Auto-tuning creates huge parallelism efficiencies by automatically binding processes and network interrupts to specific processor cores. 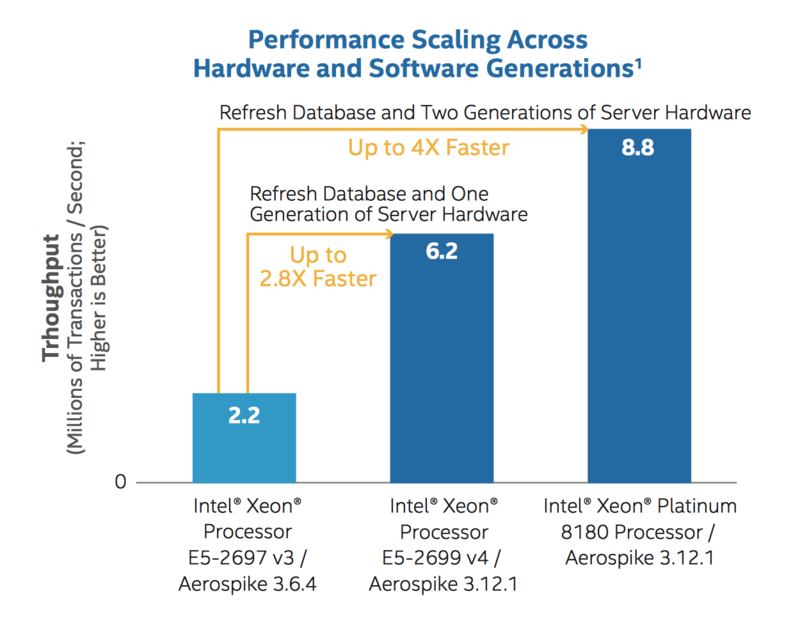 As core counts continue to increase, these innovations in the Intel® Xeon® processor ensure that Aerospike’s and Intel’s customers will keep enjoying predictable high performance and scalability with lower total cost of ownership. Digital transformation is driving massive change across all industries—change that demands more data, better decisions, and faster response times for systems of engagement. By updating to the latest Aerospike and Intel versions, businesses will be prepared to embrace these burgeoning data volumes and deliver a competitive user experience at speeds previously deemed impossible. The Intel Solution Brief goes into more detail on how these stratospheric numbers are possible.